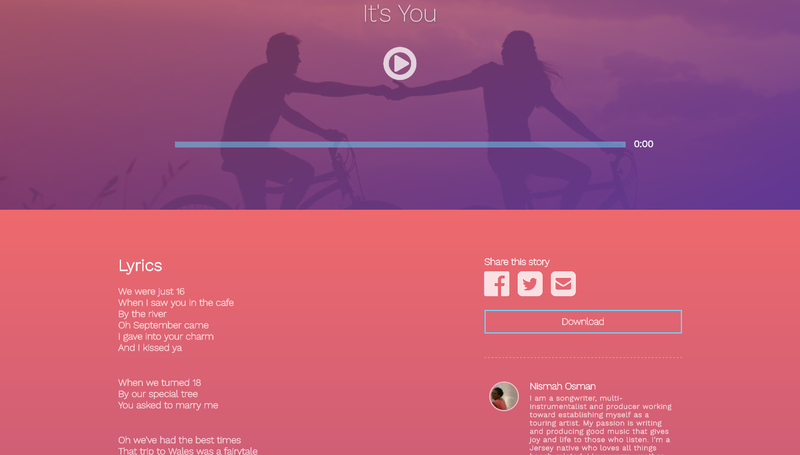 Songfinch are a US based company who offer personalised songs. You may not have heard of them, as they are a relatively new business. I wanted to get my husband a unique and personal gift for our second wedding anniversary later this month. When Songfinch got in touch with me, I thought the concept behind ordering a personalised song sounded wonderful. I was eager and excited to try it out! 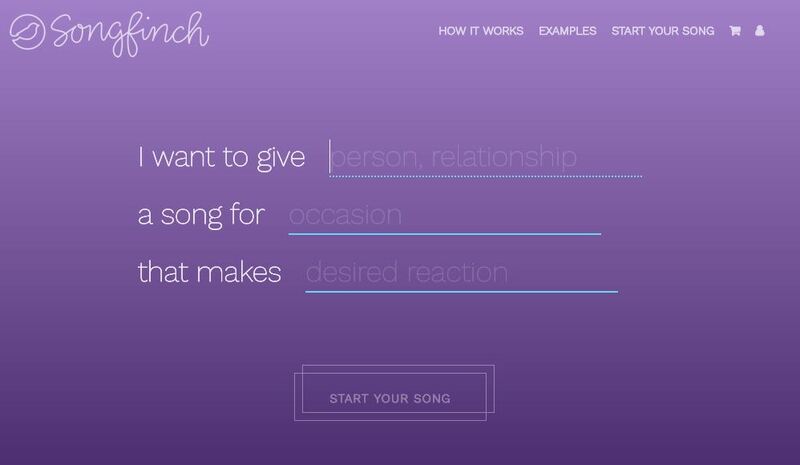 Songfinch make it nice and easy for you to specify what you want. Their website is very user-friendly too. You start off by telling them who the song is for, what occasion the song is for and what kind of reaction you want to elicit from the recipient. I told them I wanted to give my husband a song for our second wedding anniversary that made him emotional. The second step is to share the story of your relationship with that person. This helps your songwriter to make the song personal to you and the person the song is for. I shared the story of how we met, where we first laid eyes upon each other, our honeymoon and the birth of our daughter. At this point you can also specify other details, such as whether the song is for a first dance for a wedding. I love that idea! Obviously, everyone has a different taste in music. 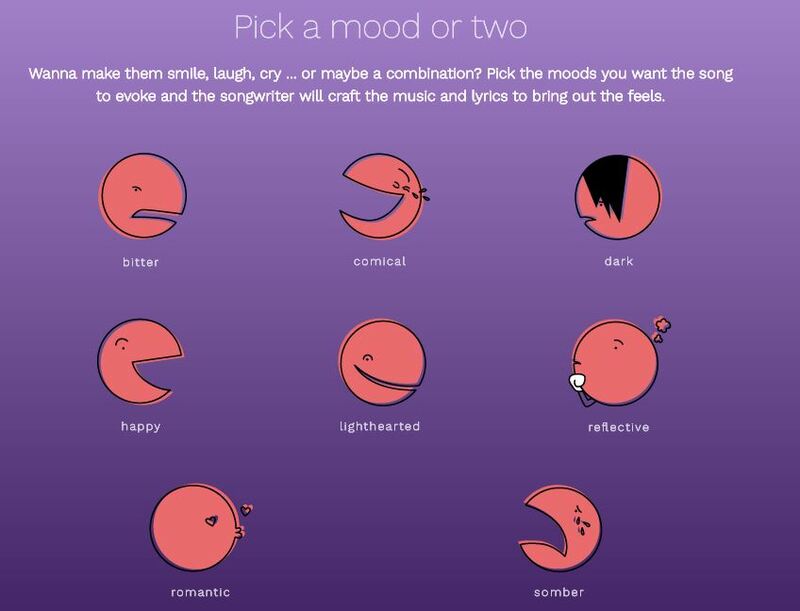 Picking a mood helps you to tailor it to them better, but also helps to match it to the mood of the occasion. I considered picking comical, but in the end decided to go with happy and romantic! You can even pick whether you have a male or female vocalist, or leave it as a surprise. 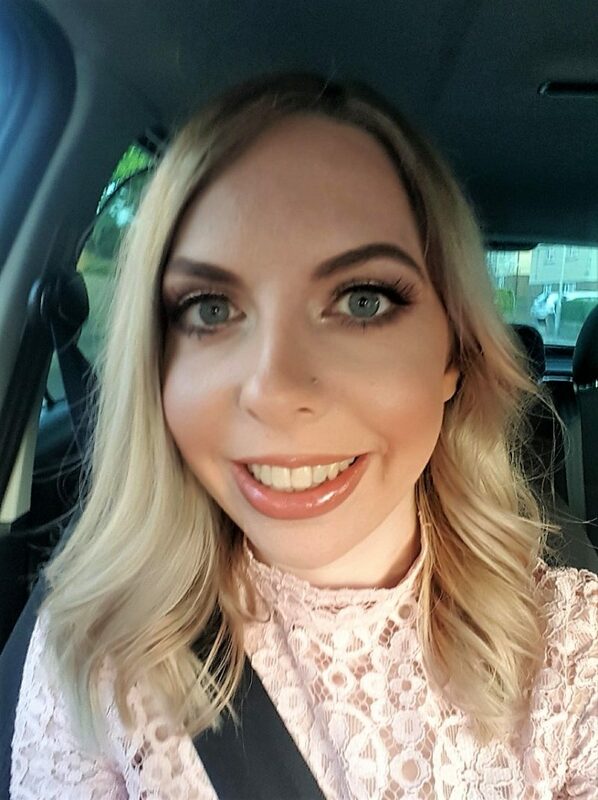 I opted for a female voice, as I thought that would be more fitting for a song to my husband. 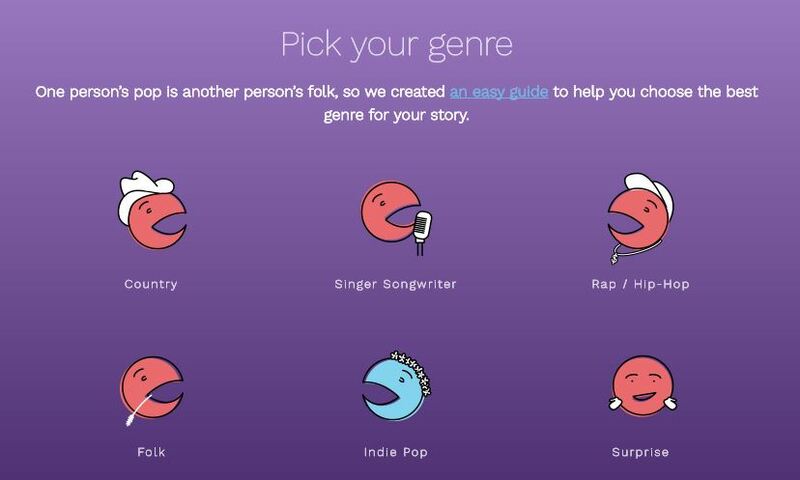 You can pick a genre for your song too! While I was sad to see the absence of rock, there is a good range of genres! I chose indie pop as I thought that would suit our song best, and would probably be Dave’s favourite genre. Less than a week after submitting all the above, I received an email informing me that the song was ready! This page also has the lyrics to the song and allows you to share and download it. 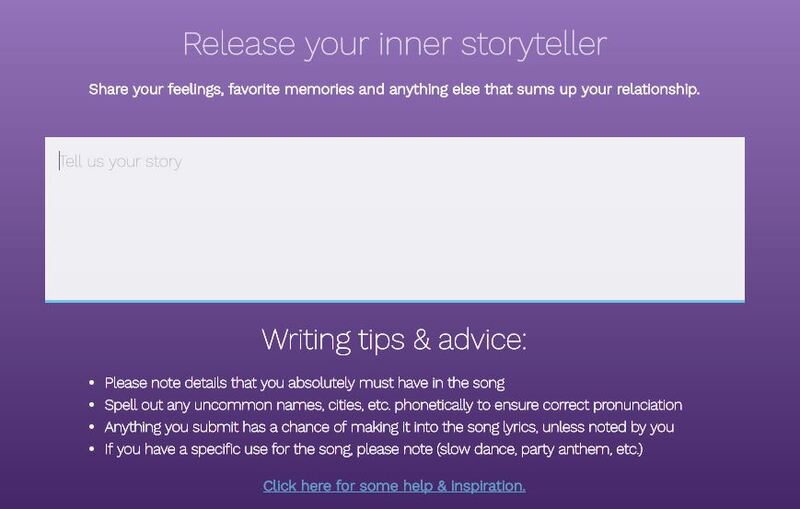 It also tells you more about the songwriter and gives you their social media links. Nismah Osman, the singer of our song, has the most beautiful, soulful voice. It actually reminds me of Katie Melua. I was worried about what my thoughts would be on the song, as I’m quite fussy. However, I absolutely adore it and can’t wait to share it with my husband. It keeps getting stuck in my head and I have to make sure I don’t sing it around him! I’ve been working on making a video with this song and photos of us over the years for him for our anniversary. However, if I don’t have the time to finish it, the above page is presented so beautifully that it wouldn’t be a disappointment just presenting it to him like that. I strongly recommend creating a song for someone with Songfinch if you’re looking for an unusual and personal gift. A song costs $200, which at the time of writing equates to £157.02. It may be a little bit pricey, but I think the amount of effort and personalisation that goes into it is worth it! Disclosure: This is a review of Songfinch and I received a song free of charge for the purpose of this review. All views and opinions are honest and my own. This is so cool it’s amazing what you can do on the internet now!! I would want one just for me to listen to all the time.